We had the fortune to purchase the set in 2016 from the original owner. The set is carved from rosewood. 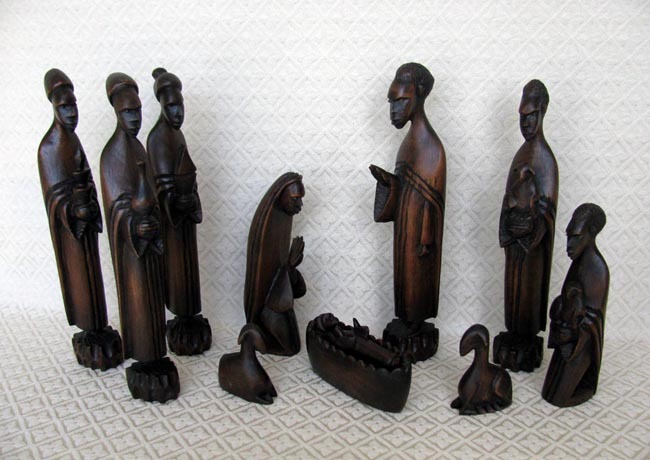 The set includes 11 pieces: Joseph, Mary, baby Jesus, manger bed, two shepherds, two lambs, and three wise men. All of the men in the set are barefoot. The Joseph figure measures 9.75 inches tall.